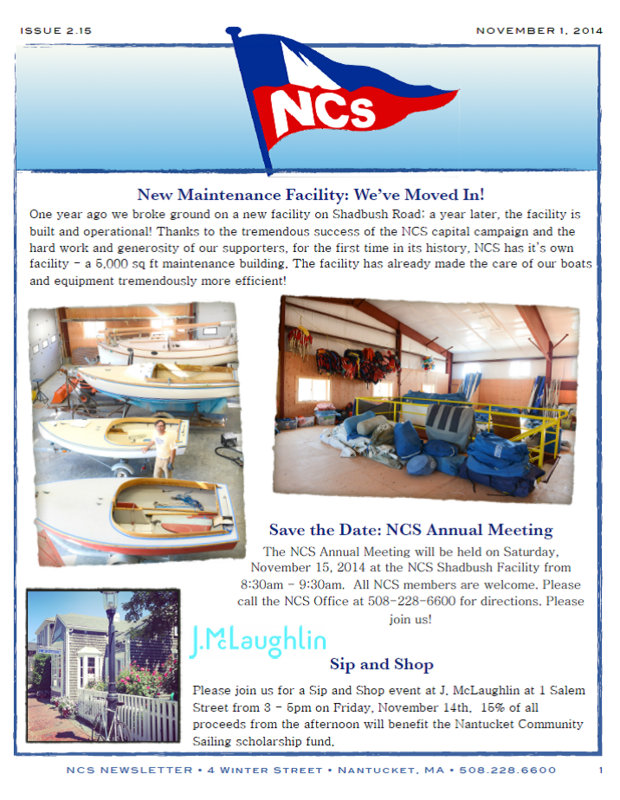 The November NCS Newsletter is in! CLICK HERE to get the latest news from Nantucket Community Sailing! New Maintenance Facility: We've Moved In! Don't forget to follow us on Facebook and Twitter to keep up to date with all things going on at Nantucket Community Sailing!